With the stigma surrounding marijuana subsiding and a rising cannabis culture emerging from every corner of the country, marijuana dispensary jobs are in hot pursuit by a diverse demographic of passionate cannabis enthusiasts. To these individuals, the dispensary is the beacon of legal consumption. Marijuana dispensary jobs require the worker to have an in depth knowledge of marijuana strains and products, which is dream research in the eyes of potential employees. Working in a dispensary is often referred to as being “the face” of the cannabis industry, making it an integral position not only in the distribution of marijuana products, but in positive efforts to erase stigma and promote education of cannabis. There is a lot of conjecture circulating about what makes one dispensary more successful than the other, however, one thing everyone can agree on is that a great dispensary must have great people running it. Where are Marijuana Dispensary Jobs? Even with increasing headway toward national legalization, the marijuana industry can be a confusing one to navigate. Those looking to work marijuana dispensary jobs might wander the internet for hours trying to find where and if they can work in their own state, or if they would have to relocate. It’s primarily important to conduct research on your home state’s policy on marijuana and legalization. Be sure to see if your state is medically and/or recreationally legal, as the policies of each differ dramatically. Though there are dispensaries located in pockets all across the U.S., it’s no secret that most dispensaries and marijuana dispensary jobs therein are located on the west coast. 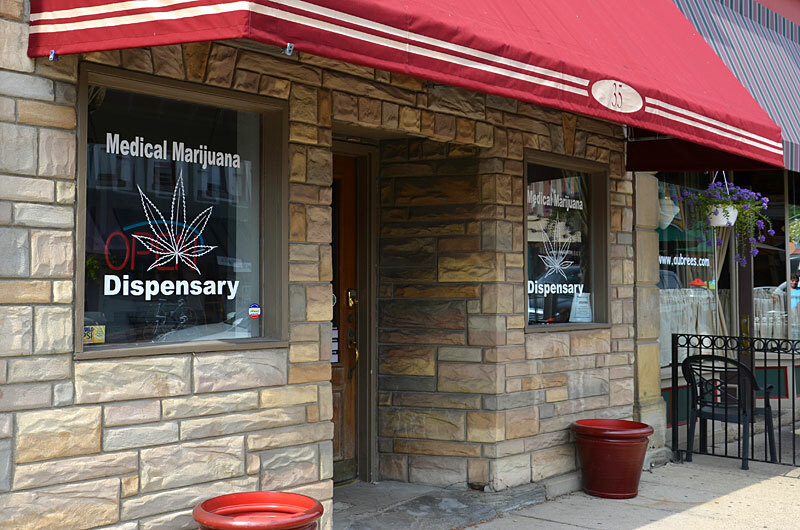 Washington, Oregon and California have become meccas for marijuana, as they contain the most accessible dispensaries. Cities like Portland, Oregon and Seattle, Washington are brimming with new shops, with more opening up by the month. For interested applicants, these cities offer the most opportunities, but also the most competition. Before applying to a dispensary position, it helps to have a general overview of what each job entails. Below is a simple breakdown of the most common dispensary positions: their duties, qualifications required and possible compensation. This position has already achieved iconic status as the face of the marijuana dispensary jobs. Customers associate their bud buying experience with their budtender, similar to how you’d view your bartender at your local haunt. It’s important the budtender be a positive representation of the dispensary, as well as helpful, informative and organized. Budtending responsibilities vary from job to job, however, all budtending jobs are customer service oriented first and foremost. A typical day working as an associate or entry-level budtender might include alternate tasks such as stocking and restocking products, filling and rolling joints, cleaning the shop and updating dispensary menus and social media accounts. Chiefly, budtenders assist the stream of customers that visit the shop. It is the budtender’s responsibility to educate the consumer on what products are available, what each product is and what they recommend to suit the customer’s need. Budtenders must be able to follow a sale to completion, including the possible selection and weighing of products, as well as carrying out the transaction on a POS system, then distributing all legal literature and making sure products are correctly packaged and labeled. Additionally, budtenders are responsible for completing all tasks assigned to them by their supervisor. Pursuing a career in budtending can be a competitive feat due to massive interest, however, as more dispensaries open, knowing what employers are looking for will increase your chances of landing the job. Like many things in life, it helps to know someone working in a dispensary when applying. Dispensary managers are looking to hire trustworthy, friendly, competent employees, which can be difficult to gauge after a cursory interview or review of someone’s resume. If the employer or an established employee can vouch for your ability, this is a huge asset when being considered for a position. Aside from being familiar with a dispensary employee, there are some hard qualifications that employers are looking for across the board. Having an in-depth knowledge of cannabis products, strains and consumption methods is key. Having experience working hands-on with marijuana is also a major selling point. The vast majority of people applying to be budtenders are cannabis enthusiasts, however, it takes a really passionate applicant to represent a dispensary. The applicant should possess some basic cannabis regulatory knowledge and be able to learn quickly on the job. I will reiterate again the importance of the customer service role in budtending. If no service is offered, then there’s no sale. For this reason, it helps the applicant’s profile to have a background in efficient and effective customer service. Working as a barista or bartender can be seen as valuable experience in selling a specialty product. Cash handling ability and basic math skills are paramount in maintaining a even drawer and properly weighed products. Budtenders must be able to quickly bring a customer through a sale using a POS system, so they can move onto the next customer without lagging behind. Budtenders must be organized and able to maintain a clean workspace. Both budtending and dispensary reception jobs are often considered to be more entry level cannabis jobs than other positions, so the base pay reflects level of experience. Pay can range from minimum wage plus tips to about fifteen dollars per hour plus tips. Though the compensation is fairly standard for a customer service position, the benefits can outweigh the modest pay for a cannabis enthusiast. Most budtenders receive a healthy discount on products and receive raises based on consistency. A receptionist might be the first person you see upon entering most dispensaries. This position is very involved in its own right, however there is significant crossover within receptionist and budtending positions at some locations. On a daily basis, receptionists must greet customers and process their legal identification, as well as place customers in a queue to meet with a budtender and select a product. Receptionists are primarily responsible for answering phone and email inquiries, while assisting the manager with daily operations. This includes data entry, various forms of customer service and maintaining cleanliness of the waiting room. Ultimately, a receptionist encourages a seamless, friendly, yet professional experience upon opening the dispensary’s doors. Similarly to budtending, receptionists should possess some knowledge of marijuana products and legislation. Receptionists must be able to comply with government standards and be up to date on all regulations. A background in office reception or administration is helpful, as well as experience in related customer service positions. Receptionists absolutely must be able to keep organized, as the position involves manual data entry. Experience and proficiency in using online spreadsheets, POS systems and social media is a major asset. Being able to compose professional emails and speak confidently on the phone is another important trait in a receptionist. Again, like budtending, receptionist pay starts around minimum and ranges up to fifteen per hour, though there is major room for growth! Dispensary managers maintain a high level of responsibility, often directly assisting customers alongside subordinates, while also coordinating employee schedules, as well as educating and leading employees in the dispensary’s daily operations. Managers have a wide variety of tasks to complete throughout their work week, including but not limited to inventory and ordering, employee training, direct sales, assisting the owner and closing the shop. Acquiring marijuana dispensary jobs as a manager means you are able to multitask and confidently lead by example on a daily basis. When seeking dispensary managers, employers are looking for someone with previous experience in management, unless they are promoting from within. Dispensary owners need knowledgeable managers they can trust. This means the potential applicant has major experience in cannabis and is completely up to date on all related legislation. Managers must have leadership experience and a special ability to communicate with employees and customers and stay organized. Pay for dispensary managers can be competitive. Due to the responsibility placed on this position, pay starts at around fifteen per hour for a manager with opportunity for growth. Dispensary ownership can be an arduous process financially and legally, but it also contains the possibility for a higher individual payout than other marijuana dispensary jobs. Dispensary owners are essentially responsible for completing every task not completed by their subordinates. Owning any kind of business is a very involved job that requires a lot of passion and dedication. Dispensary owners must be able to see their business through the long regulatory process and be able to compete with other businesses and turn a profit. Dispensary owners must have an in depth knowledge not only of cannabis products and legislation, but also must possess a well rounded business savvy. Technically, anyone who complies with state and municipal regulations and who has enough capital can own a dispensary. That said, owners with a strong business background may have a better chance of success. Earnings vary vastly among dispensary owners and it’s difficult at this stage in medical and recreational legalization to obtain hard and fast data around dispensary owner wages. The positions listed above represent the most common marijuana dispensary jobs, though there are many other important careers that help dispensaries succeed. Glass merchants and apparel designers, edible and concentrate creators, growers and more allow for dispensaries to carry any products at all. Dispensaries must work with farms and other marijuana industry professionals to create a thriving business. Besides these associated careers, there are a few other dispensary centric positions that vary from state to state and in each particular establishment. Depending on the dispensary and the state where it is operating, marijuana jobs in security are valuable for maintaining the safety and organization of a dispensary. Security may be responsible for checking identification, as well as culling and organizing crowds when the dispensary is busy. Many dispensaries are now offering delivery services of their products. Much like delivering pizza, marijuana delivery is a valuable resource, especially for medical patients who cannot easily access a dispensary. Marijuana delivery jobs are becoming exponentially popular as recreational legalization is beginning to sweep the nation, beginning on the west coast. Marijuana marketing and media jobs are important in distinguishing one dispensary from the next, so it pays to have a skilled manager of media and marketing in order to enhance and highlight the appeal of a specific shop. It is unlikely that this would be a daily position, as budtenders and receptionists can easily update social media. Marketers, however can act as integral consultants for a business. The pursuit of marijuana dispensary jobs will only increase as legalization continues to infiltrate throughout the country. As you continue to search for jobs, keep up on your research and be sure to highlight the qualities that make you most fit for a particular dispensary position. Happy hunting!